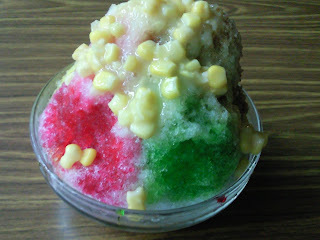 Enjoying a bowl of ice kacang on a humid & hot night! 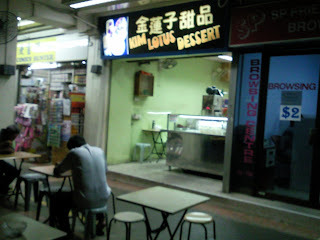 Kim Lotus Dessert stall is a favourite hunt among Jurong West customers. Its located at Jurong West St 41, Blk 463 (opposite Esso Mobile). The desert is rich with ingredients like kacang, jelly, 2 attap seeds, sweet corns, dinced chin chow,red beans & condensed milk pour on the thin ice shavings. One bowl is S$1.50.